JM-I86H meets MIL-STD 810G and IP67 standard. 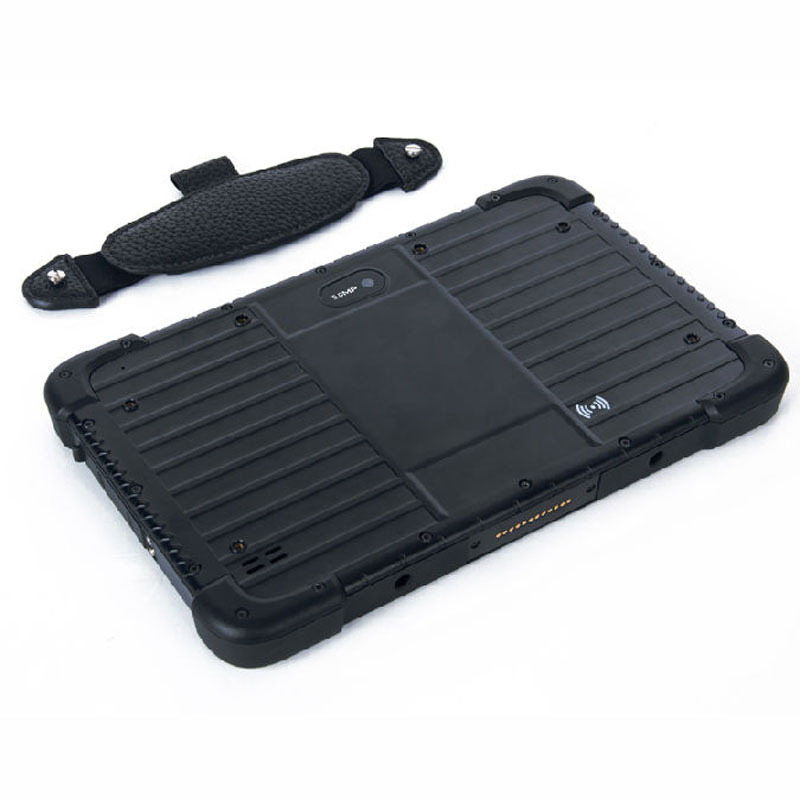 Covered by high strength back plastic, four angles are able to avoid damage if dropping unexpectedly. Also to be definitely waterproof, all interfaces are equipped with waterproof plug. With military grade quality, JM-I82 is designed for special industries. 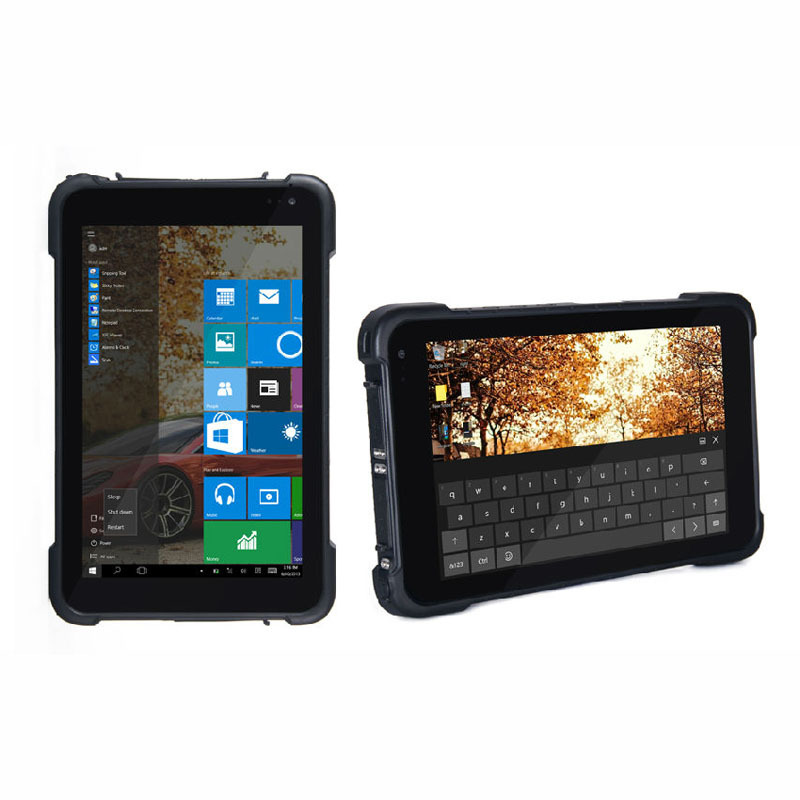 All the features like dustproof, waterproof, and shockproof make it completely tolerant to extreme temperature and bad environment. 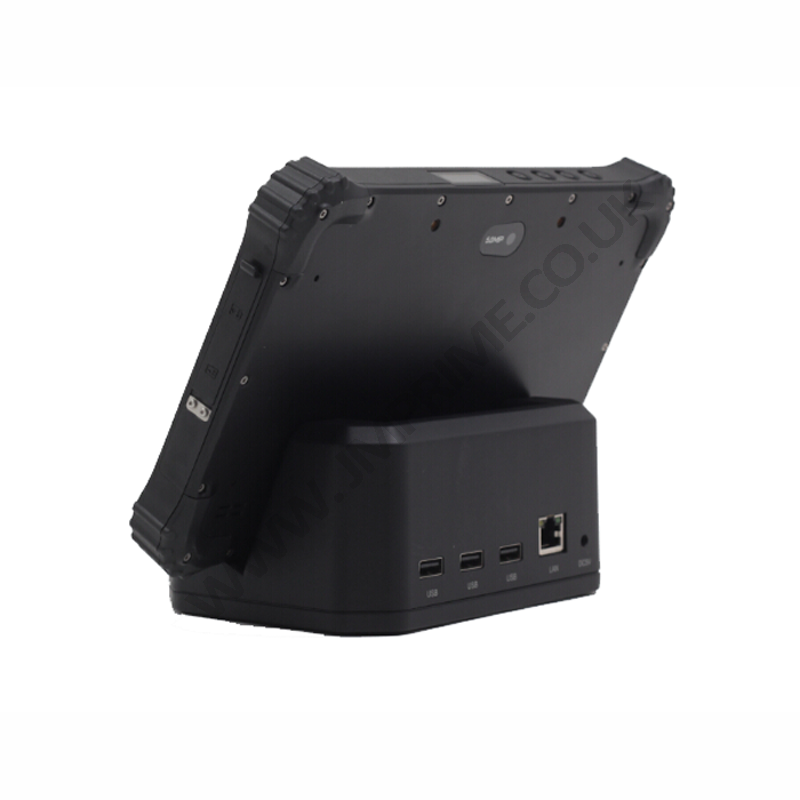 JM-I86H is equipped with a 8-inch high-brightness screen with the resolution up to 1280*800. With blue light filtering and anti-dazzling, JM-I86H is outdoor viewable. Furthermore, this model adapts high strength tempered Touchpanel, which offers unmatched resistance to damage. What’s more, the special screen is glove touch and water spray capable. The 16.5mm thick JM-I86H is very ergonomic which weighs only 800g. Unique back splint design allows users to hold it with just one hand. JM-I86 support 1D / 2D barcode scanner, NFC, RFID and so on. The 1D / 2D barcode scanner can be widely used in logistics, warehouse management and other industries. Equipped with RFID/NFC, it’s easy to deal with mobile payment. JM-I86 is equipped with the most advanced communication technology, including GPS navigation satellite system, WIFI 5G/2.4G, Bluetooth 4.0 and 4G, to provide a more accurate positioning and stable data transmission with faster processing speed and wider coverage which greatly facilitates the exploration, transportation and field operation. 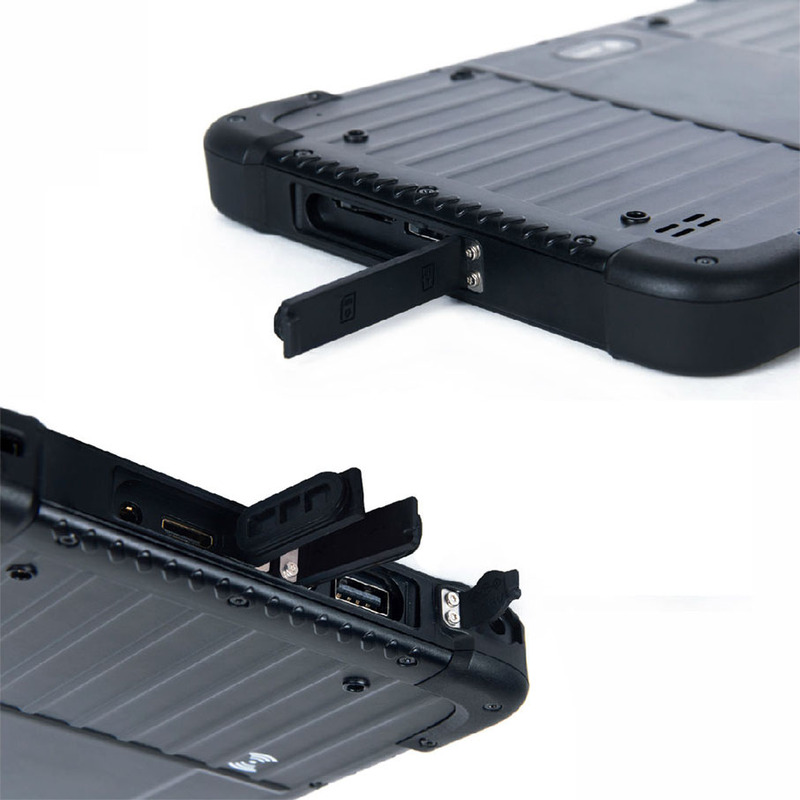 JM-I86H is equipped with 9000mAh battery. A single charge can provide up to 8 hours of battery life. 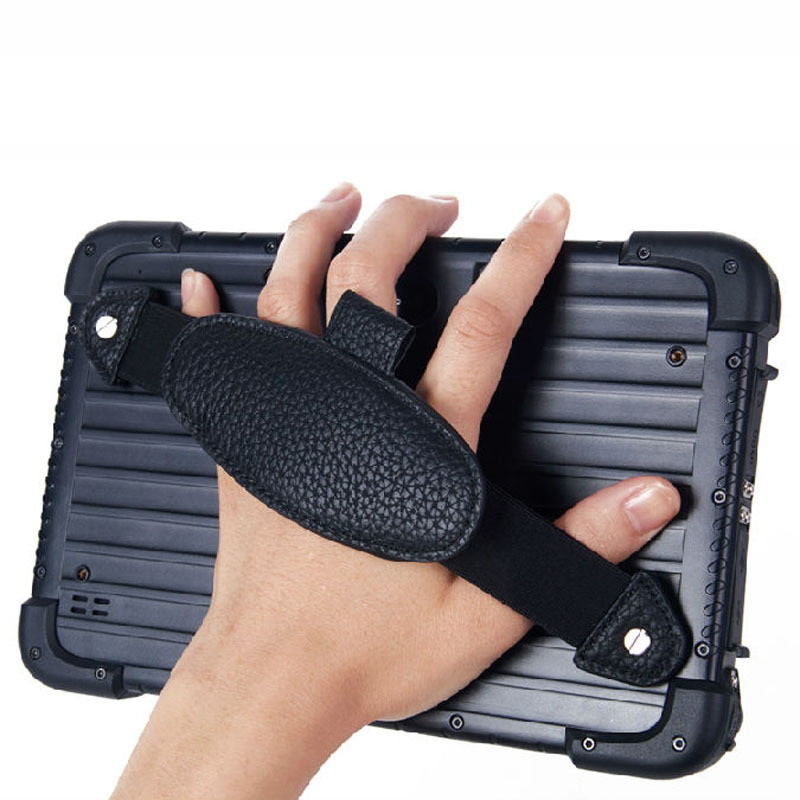 The hand splint design provides a comfortable grip handle to prevent accidental fall. 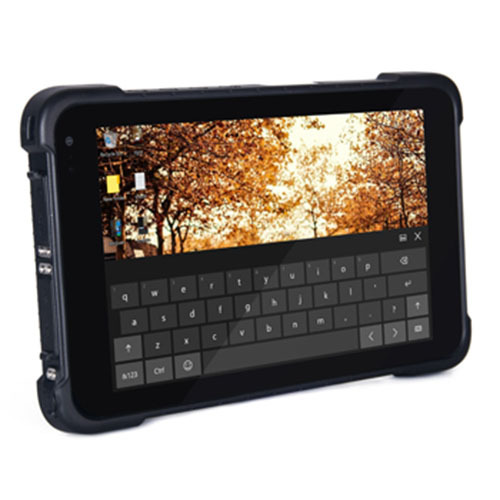 The magnetic interface on the bottom can match with a keyboard or rechargeable base. And the full range of interface support (RJ45, 3*USB) is also available. JM-I86H breezes through a series of strict tests, including high and low temperature test, key life test, surface abrasion test, interface plug test, vibration test, torsion test, and drop test. All the tests create an unimaginable reliable device.